Cranberries are stock-full of antioxidant compounds, including phenolic acids, flavonols, proanthycyanidins, and anthocyanins. Drinking two glasses of cranberry juice a day can lead to significant heart health benefits, according to a study led by Janet Novotny, an Agricultural Research Service (ARS) physiologist at the Beltsville Human Nutrition Research Center in Beltsville, Maryland. Cranberries are a common food to pile on holiday mealtime plates. And it turns out that they’re good for you, too. They’re well known for use in preventing urinary tract infections (UTIs), but cranberries can do so much more. Cranberries are known for their bright red color, which is part of why they are health foods. Cranberries are stock-full of antioxidant compounds, including phenolic acids, flavonols, proanthycyanidins, and anthocyanins. 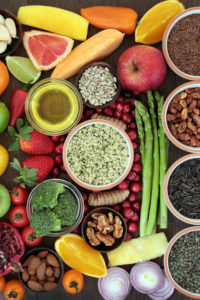 Anthyocyanins are a particular kind of potent antioxidant that are responsible for the red-purple pigment in many berries, fruits, and vegetables, including cranberries. These antioxidants are associated with anti-inflammatory, anticarcinogenic, antibacterial, and antiviral effects. And they are readily absorbed and used by the body, as well. These qualities, along with others, make cranberries well suited to treat a variety of conditions. Prevent UTIs. 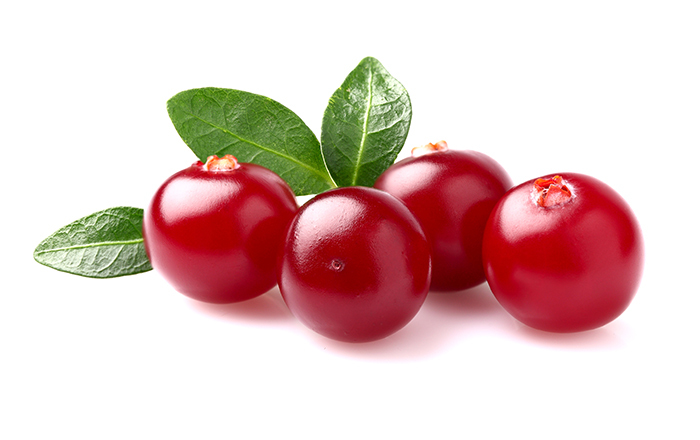 Cranberries are one of the most well-known home treatments for UTIs. They seem to be able to block the adherence of bacteria to the walls of the urinary tract, helping to fight off invading bacteria and ultimately preventing infection. They are especially helpful in the prevention of recurrent UTIs.1,3 In one study, people who took a cranberry extract daily for 60 days had a 73 percent reduction in UTI frequency. Reduce heart disease risk factors. Cranberry consumption is associated with lowered lipid profiles, reduced blood sugar, and improved blood vessel function. Eight-week consumption of 240 ml of cranberry juice daily, for example, significantly reduced triglyceride levels in one study. Cranberries can also raise HDL cholesterol (“good” cholesterol) and lower blood pressure. This may help prevent atherosclerosis, heart attack, and cardiovascular diseases. Improve symptoms of BPH in men. With age, many men experience benign prostatic hyperplasia (an enlarged prostate) and lower urinary tract symptoms. Cranberry has been shown to help reduce the symptoms associated with this condition like needing to go frequently, waking up in the night to urinate, and difficulty releasing the bladder. After six months of 250 or 500 mg cranberry powder (or placebo), scores for these symptoms decreased significantly between men taking the cranberry powder and men taking placebo. Opt for fresh or frozen cranberries if you want the most antioxidants and nutrients; the more processed the cranberry, and the more added sugars or preservatives, the fewer the health benefits. But if you don’t want to prepare fresh and don’t like the bitter, strong flavor, try using 100 percent juice or dried cranberries. Whole cranberries can be cooked into dishes, cranberry juice can be added to other fresh juices or fruits to make smoothies and drinks, and dried cranberries can be tossed into salads, oatmeal, or trail mix. I like dried cranberries on a spinach salad with walnuts and apples. 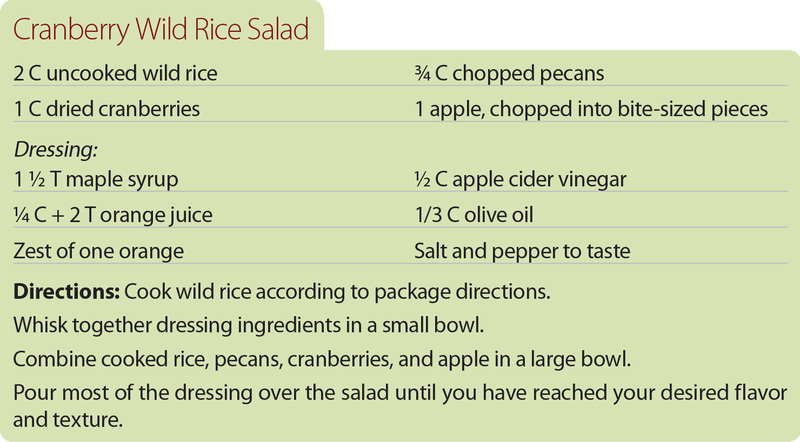 For more ideas on how to use cranberries in your cooking, try our healthy recipes below. 1. Adv Nutr. 2013 Nov 6;4(6):618-32. 2. Food Chem. 2015 Feb 1;168:233-40. 3. Altern Med Rev. 2008 Sep;13(3):227-44. 4. Eur Rev Med Pharmacol Sci. 2015 Jan;19(1):77-80. 5. Int J Oncol. 2015 May;46(5):1924-34. 6. Food Funct. 2012 May;3(5):556-64. 7. Anticancer Agents Med Chem. 2012 Jul;12(6):619-30. 8. Mol Nutr Food Res. 2008 Jun;52 Suppl 1:S18-27. 9. Nutr Res. 2015 Feb;35(2):118-26. 10. J Nutr. 2015 Jun;145(6):1185-93. 11. J Agric Food Chem. 2012 Jun 13;60(23):5687-92.
anti inflammatory, anticancer, antioxidant, antioxidants, atherosclerosis, bacteria, benign prostatic hyperplasia, blood pressure, blood sugar, bph, bph in men, c reactive protein, cancer, cancer cell, cancer cells, cardiovascular, cardiovascular diseases, cholesterol, chronic inflammation, cooking, cranberry health benefits, dementia, fight cancer, food, good cholesterol, hdl, hdl cholesterol, health, healthy recipes, heart attack, heart disease, heart disease risk, heart disease risk factors, infection, inflammation, lower blood pressure, nutrients, ovarian cancer, preservatives, Prostate, prostatic, prostatic hyperplasia, protein, spinach, sugar, triglyceride, triglyceride 2, triglyceride levels, uti, vegetables, walnuts.